Complete reactor setup no longer available. We will manufacture more on request for multiple items. 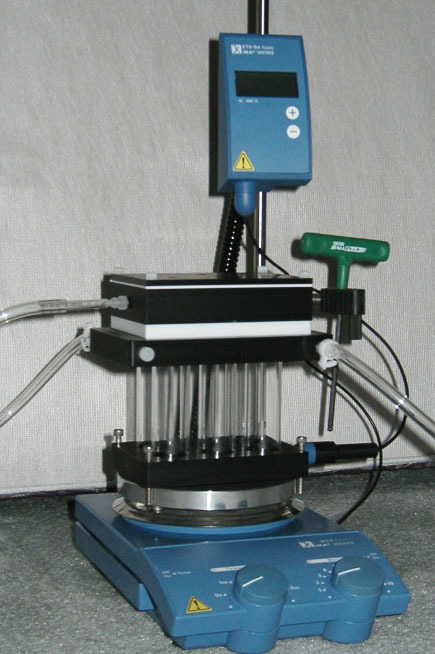 SynthArray-6 on IKA hotplate stirrer. Cut away images of the SynthArray-6 in various configurations.